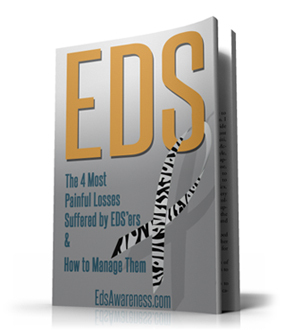 How Can Schools Better Understand Ehlers Danlos Syndrome? The pressures from the school environment are difficult enough when a student is well. EDS students have more challenges than the average student,and need the cooperation of the school administration and teachers. “As both a parent of 2 children with Ehlers Danlos Syndrome (or if it isn’t, something incredibly close to it, if the Doctors could just stop arguing and make their minds up) and having been a pupil at school with EDS (not that we knew that’s what it was at the time) one of the most frequent questions I both ask myself and see being asked is how to help schools understand Ehlers Danlos Syndrome better. I think one of the most important things that we forget, whether we’re the student or the parent, is that if our children are in school, they are not the only one in their class. Written down it seems so logical, but caught up in the emotional and physical aspects of EDS it’s very easy to lose that perspective. Equally, wherever you are in the school system, there will always be more than one person involved in the education of you or your child. More than one person means that there will have to be communication between everyone involved and we have to appreciate sometimes messages don’t travel as well as we’d like – human nature and real life sometimes just get in the way. I hang on to the belief that no teacher, SENCO (or INCO as they’re now called) or other professional would maliciously miscommunicate with their colleagues about a student. However, I totally appreciate (you should see some of the letters about us) that some professionals could up their game significantly in their letter writing and communication skills. Helping schools understand EDS better means that when these gems of inadequacy do appear, they are recognised as such rather than taken as gospel. Whether you’re going into school with an established diagnosis or one in the pipeline, forming a partnership with the school, based on mutual respect, knowledge and having the student as the central focus is incredibly important – and can be incredibly difficult. I can only imagine how difficult it is for the SENCO to manage and communicate the needs of every child in their care to everyone who needs to know – and carry out whatever additional duties their role requires as well. But – Every Child Matters and just because EDS is a condition that isn’t particularly well known, doesn’t mean that those with it should be sidelined, judged or deemed purely an inconvenience. There are several types of Ehlers Danlos Syndrome with more variations being discovered all the time. One thing for schools to understand is that nobody will EDS will have exactly the same set of symptoms as someone else with the same diagnosis. Siblings will present differently to each other (to a greater or lesser degree) and if their parents have it, they will be different to them. Not only that, but the presentation will change over time (again to a greater or lesser degree) and generally with little or no warning. 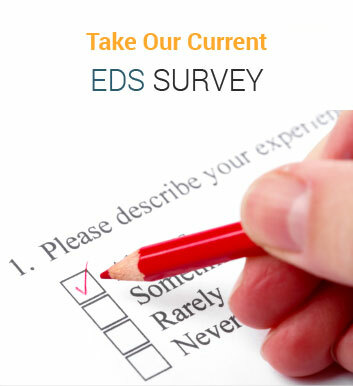 Although there are many methods to support people with EDS it cannot be cured. There is no magic fix and children won’t ‘grow out of it’. This isn’t an easy statement to process for anyone with EDS, not matter what age they are. In many cases, EDS is an ‘invisible’ condition. This is probably one of the toughest emotional aspects for anyone with EDS and it’s really important that schools understand this. People with EDS also have good days and bad days – although predicting which ones will be good and/or bad is nigh on impossible. Basically (more technical explanations are available but unless your school contact is a medic too, they’re not going to help much) in people with EDS there is a fault in one of the proteins that makes up our connective tissue and it makes the connective tissue too lax – or bendy. Connective tissue is found throughout the body – it’s essentially what holds us together. 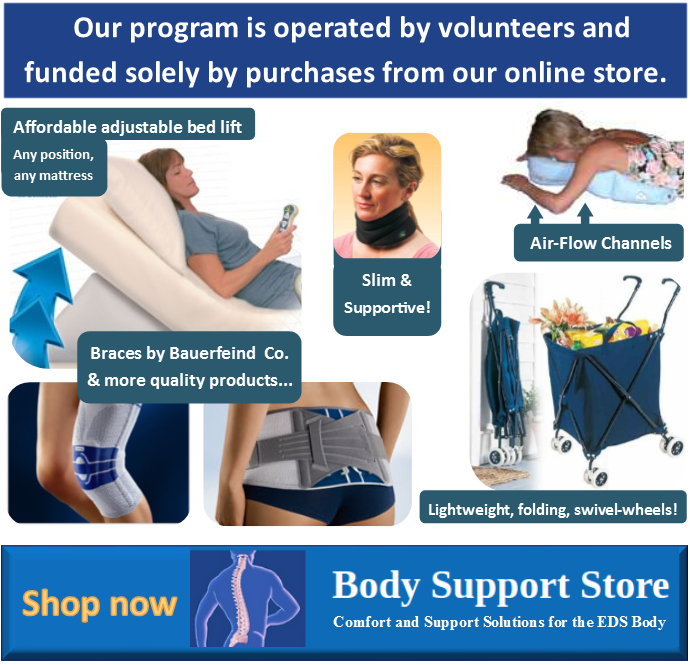 Some types of EDS affect some parts of the body more than others but as connective tissue helps forms our skin, our blood vessels, muscles and joints as well as helping transfer the messages that travel from our brain through our bodies, in every type of EDS the connective tissue is involved. EDS is a genetic condition, often inherited and can be seen more prominently in females. Males do get EDS too – it’s just in females our hormones can make the condition more pronounced. Hormone surges and cycles can create more ‘bad’ EDS days. I’ve written about fatigue and tiredness before and it is one of the common symptoms that people with EDS relate to. We all get it in different ways though – varying from utter exhaustion where getting out of bed is impossible, to ‘brain fog’ when your body is working so hard at staying upright it feels like you’ve got no mental processing power to tired feet when standing too long and a variety of other symptoms. It’s hard to identify what particular things tire people with EDS out more – some days I can walk 3 miles easily and be ok but half an hour of intense concentration working at a screen befuddles me. Other days the 300 yard school run is horribly painful but I can work at the laptop all day. Students with EDS often need breaks and physiotherapists and occupational therapists often state that these breaks are required in the school day. A break for someone with EDS isn’t necessarily sitting still and not working or having a ‘little sit down’ during PE. Often sitting is tiring in itself (think of all the muscles you need to sit upright and imagine them having to work twice as hard to achieve that because all the connective tissue is too lax), as is writing or reading. Whether it’s resting on a beanbag, having access to the sofa in the library or being able to lie down for a while with the school nurse, allowing these rest periods can make both a positive impact on the educational attainment of the student and their emotional well being. Each child with Ehlers-Danlos Syndrome is unique, and may need different accommodations from their school.